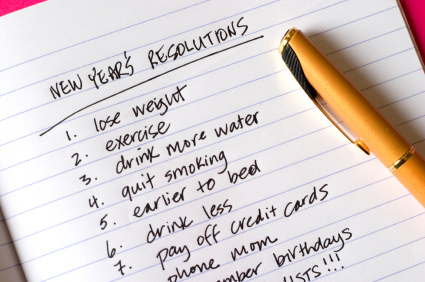 In less than 12 hours time, thousands of people up and down the country will make a resolution. At the same time thousands of people up and down this country will sneer at those who have just made a resolution. Those who make ‘resolutions’ will suffer the inevitable late January blue as all of those positive resolutions come crushing down around them in a rubble of realism. Here is to how to avoid those blues whilst also skipping effortlessly around the Victor Meldrew downfalls of those who sneer at any one who tries to make a positive change in their lives. The “Fad” is a magical device that allows us to throw ourselves into something as if we had just made a real “resolution” whilst at the same time avoiding the inevitable disappointment when we go back to black coffee for breakfast. It allows an innocence, an enthusiasm and most of all an opportunity that neither options 1 or 2 allow. To set your sights low, or to avoid any aspiration leaves you with a pessimistic outlook that Victor Meldrew might find disheartening. People will mock you for having “fads” but let me tell you this – we who embrace the power of the fad will be learning how to snowboard, starting to read the works of Dickens or supping a banana and mango smoothy for breakfast. It will also be us who have moved effortlessly onto our next fad by mid-February while those who make a list of resolutions sit depressed watching deal or no deal with a tub of Sainsbury’s basic ice cream on their bellies. See this New Year’s as an opportunity to try something new and embrace it with all the enthusiasm you can muster. Don’t however be so naive as to think that now, after all these years of not getting round to it, you are going to go cold turkey on the fags, learn the piano or lose 2 stone – you’re not. You never know, what starts out as a fad might turn into a resolution. This blog, over 2 years ago started off as my latest fad (I had got bored of swimming) – and somehow I have stuck at it. It is better to stick at a fad than to fail at to stick at a resolution. It is time that we liberate the word ‘fad’ and embrace it with all the power and enthusiasm that it entails.